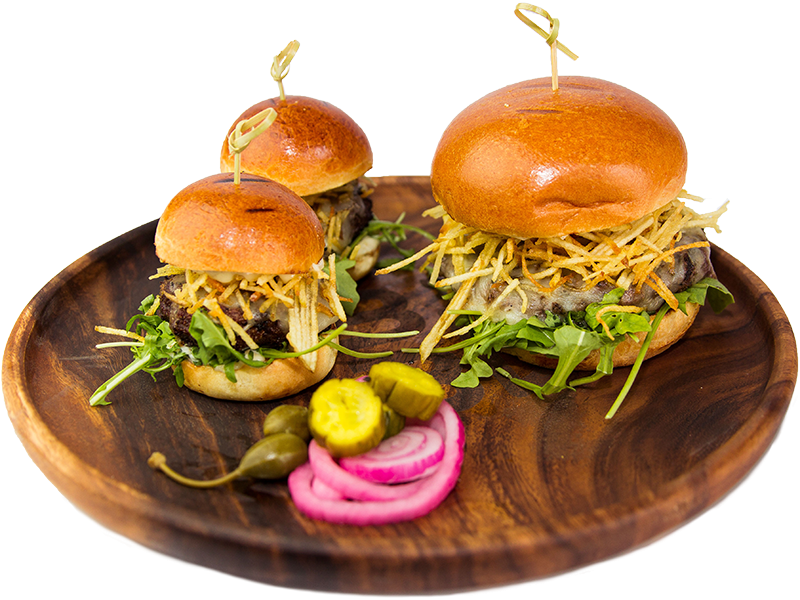 Two brothers with a decade-long background in the food and beverage industry decided to come up with a business concept to serve gourmet burgers at industry-competitive prices. They came up with a unique concept of offering a fully customizable burger with unlimited toppings for a low flat fee while also offering seven signature burgers that are hand-crafted by their head chef. 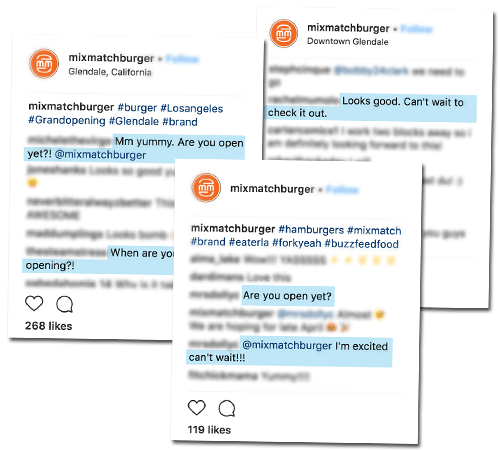 As an entirely new business going under major construction for six months, Mix & Match Burger needed to start their brand and web presence immediately. Their goals and needs were to build a strong web presence with a strong fanbase and to create customer anticipation before their grand opening. Since their concept was unique, they also needed an innovative way to help their audience better understand their "custom burger" concept. The team at Alecan Marketing Solutions developed a marketing strategy which included creating a strong brand identity, an award-winning website design, creative social media marketing, and reputation management. What’s a company without a strong band identity? For Mix & Match Burger, it was important to design a logo that would stand out from their competitors. We came up with a color palette that would work well with their logo and would also stand out at their storefront location. It was important to keep a consistent logo image through every marketing channel. Our team of designers at Alecan designed their to-go menus, as well the in-store display menu. 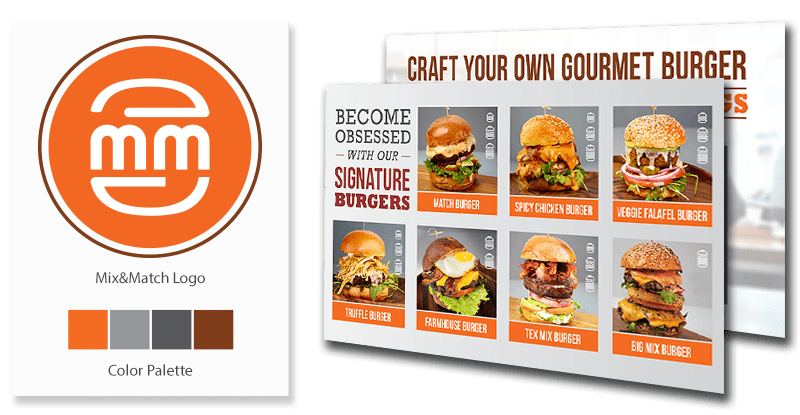 With limited space, it was vital to design a display menu that would succinctly explain the custom burger concept, while not minimizing the seven signature gourmet burgers the restaurant offers. As we all know, people eat with their eyes first. It was essential to have professional photos that truly reflected the quality of the gourmet burgers. We used our in-house video and photo production team to coordinate photo shoots to get the perfect images we needed for marketing materials. The images and videos were used throughout their website, marketing campaigns, and menus. Creating an interactive website was an important aspect of the web development process. It was important that users were able to effectively understand the custom burger concept without any difficulty. Despite not initially planning to have an online merchant service system, our team planned ahead and developed their site with their future in mind. It was developed in a way that would be able to easily integrate with their point-of-sale (POS) system in the future should they ever decide to take online orders directly from their website. As a result of our passion and dedication to Mix & Match Burger, Alecan was bestowed the “Award of Excellence” for multiple categories by the Communicator Awards. The awards were for Visual Appeal and Aesthetic, Interactive Marketing, and User Interface and Concept for 2017. Since the business concept at Mix & Match revolves around fully-customizable gourmet burgers, it was vital to get that message across in a fun and easy way during development. Our team designed an interactive burger design feature for the website that would allow customers to play around and design their own burger. This inviting feature was able to allow customers to truly understand what Mix & Match Burger is all about, and to show them the limitless possibilities they can create. Naturally, the food and beverage industry lends itself perfectly to social media. Social media marketing was our plan of attack to reach the target audience most likely to respond to our campaign. The goal was to build brand awareness and anticipation for the opening. We needed to create awareness amongst Mix & Match Burger's target audience to generate exposure for their brand. This required curating content purposely designed to draw new customers in and to circulate it throughout social media. Alecan worked hand-in-hand with the local Chamber of Commerce to bring awareness to Mix & Match Burger. We developed press releases that were dispersed online to authorities within the industry. Audience engagement was crucial to creating awareness for the Mix & Match Burger brand. We developed the #MondayMixr hashtag to produce a new audience. Engaging with users on social media platforms also helped to boost brand awareness and to build anticipation. With the grand opening only a few months away, we knew it was of the utmost importance to build anticipation in order to achieve a successful grand opening. Our strategy included communicating with fans through social media and publishing mouth-watering content that would be etched in their minds. This content created such a desire in customers' minds that many traveled upwards of 20 miles to try the gourmet burgers on opening day. 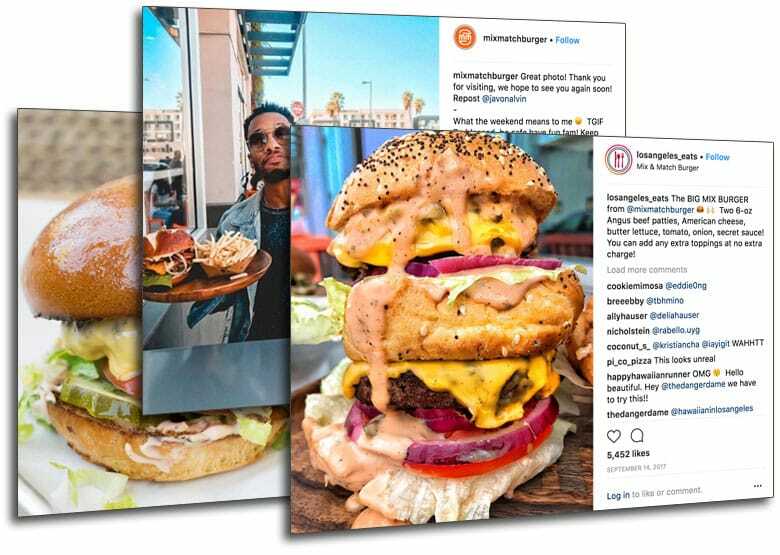 Our plan of attack included paid social ads and social influencer marketing, which expanded Mix & Match Burger's fanbase in a very short period of time. Being active and engaging on social media platforms was paramount to riding the wave of fans that paid social ads and industry influencers helped procure. Our focus was to drive home two main points with our paid social ad campaigns: building anticipation for the grand opening, and boosting brand awareness. We also briefly ran campaigns to promote online orders through the Mix & Match Burger website. These carefully-constructed paid ads allowed us to reach a broader target audience. We focused the local region as well as neighboring businesses to create awareness and draw an audience for the grand opening and areas beyond. 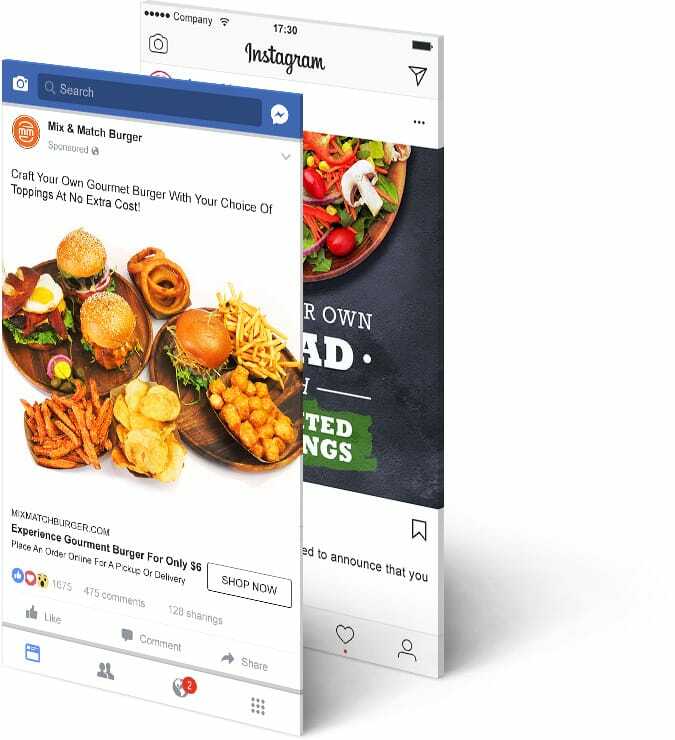 One component of our overarching strategy was to partner with social influencers that aligned with Mix & Match Burger’s target audience. This method allowed us to capture a larger audience that our research led us to believe would be responsive to our client. Our influencers used their built-in fanbase to help us deliver awareness and boost anticipation. Our passion and dedication paid off. Alecan was able to drive over 800 customers to Mix & Match Burger for their grand opening, which included a ceremony with local legislators from the Chamber of Commerce and state representatives. To maintain an exceptional reputation, customer expectation and satisfaction must be managed effectively. Our team at Alecan used social listening to gauge customer reaction to the newly-opened business. We communicated with customers to help better comprehend their experiences and ensure them that Mix & Match Burger valued their feedback.